Here at Canterbury, we’re very proud of our reSIProcate coffee for many reasons. Each one is made with only 100% Arabica beans, and is certified organic and fair trade. The result is a delicious, high-quality coffee that will keep your customers coming back for more. Beyond the exceptional taste it delivers, the proceeds from reSIProcate allow us to give back to many deserving groups, both in the communities we service and those we buy coffee from. 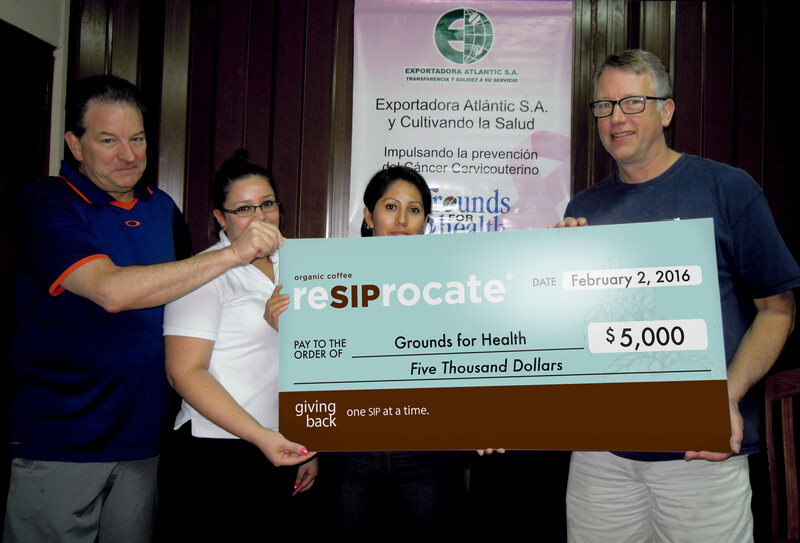 Recently, we donated funds to two international non-profits, Grounds for Health and Universal Outreach. These donations will help improve health services, infrastructure for schools and opportunities for children and families, in Nicaragua, Liberia and Honduras. These are just a couple of the many organizations reSIProcate has supported over the years. Our goal is to build healthier communities and families, among those we work with and those we serve. If you haven’t yet tried any of our reSIProcate coffees, contact your local territory manager or read more about what we offer here. To find out more about the organizations reSIProcate supported this month, visit their websites groundsforhealth.org and universaloutreachfoundation.org.